I want to share things that help keep me motivated to power through to the weekend, and finish the week strong. 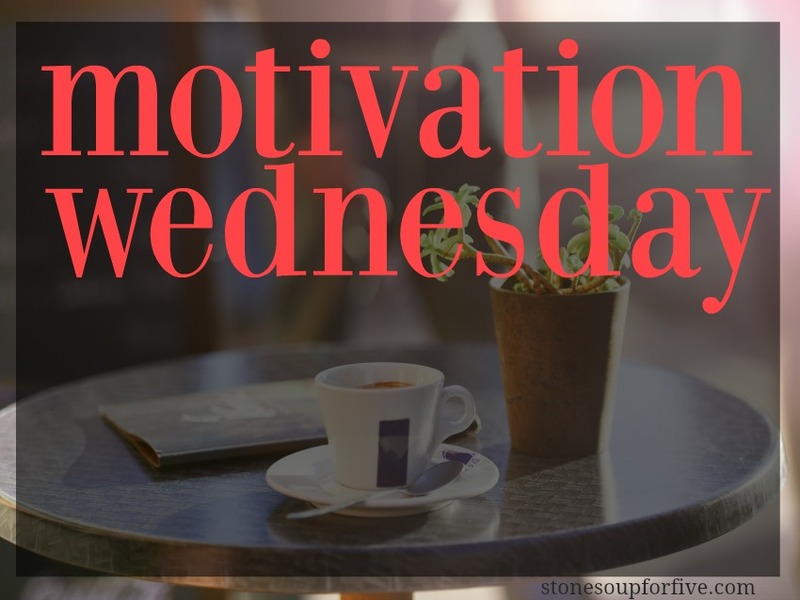 For this week's post, let's talk about a couple books, blogs, and podcasts to help get you headed strong through the rest of this week. Early last year I listened to the audio book Manage your Day-to-Day: Build your Routine, Find your Focus, and Sharpen your Creative Mind. Right after I finished listening to it, I bought it to review when I feel my motivation slipping. It has short chapters that take 5 minutes or less and big, bold quotes scattered throughout the book. Each section is written by a different author that shares their thoughts and tips on routine, focus, and creativity. It's actually book one of a three-book series by 99U, who also have a very informative website. These are, however, secular sites and books so there may be mention of "the universe" or other such nonsense. But the book is great! One I've just started, and love already is Michael Hyatt's book Living Forward: A Proven Plan to Stop Drifting and Get the Life you Want. I'm only on step one, but it's packed with motivation and hope! MacKenzie Monroe from Bold Turquoise. MacKenzie does a Periscope morning show every Monday, Wednesday, and Friday, and she talks about homeschooling, planners, Bible study, and living a life that Cultivates the Lovely. She also has a great podcast you won't want to miss. What is one unfinished project/loose end/to-do that you can finish up before Friday? This blog uses Amazon affiliate links. Your purchases help support this blog at no additional cost to you. Hi Kari. All the above information looks and sounds great. I'm curious - did you order and read the 3-book series by 99U or did you find the first book, alone, sufficient enough for what you needed? Thanks......Linda E.